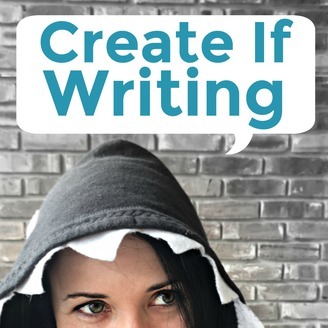 Create If Writing is a weekly podcast for writers and bloggers dealing with authentic platform growth. Kirsten Oliphant interviews experts to find out how they are building email lists, connecting through Twitter, and using Facebook groups. 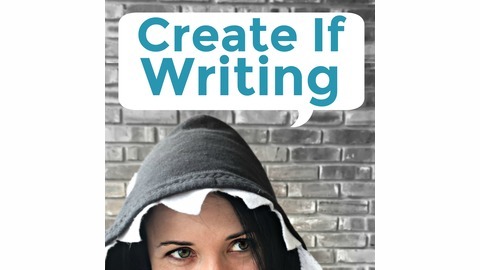 These practical episodes are balanced out with inspirational interviews from successful writers and bloggers who have made it big and want to share the struggles, the creative process, and tips for reaching your goals whether you are an author publishing books or creating an online presence through blogging. The question I get asked most is something along the lines of: How do you write with five kids? Sometimes I ask myself this question too! The specific ways that work for me may not work for you, but I'll share some tips to help you learn how to find time to write. Whether you have small children, a job, or any number of other things going on, finding time to write is HARD. Writing is an art, but it's also a practice. A skill. It takes brain power, energy, and time. In my experience, it's also very life-giving. What do you have going on in this particular season of life? Not just in terms of things that take up your time, but emotional things. Maybe you're caring for a baby and are exhausted or have someone in your family with chronic illness. You might be depressed. Take into account all the things that are present in your life. Once you've considered what's going on in your life, come up with a plan. Realize that your first plan may not work, but you have to start with one, try it, and then you can adjust. You'll probably need to adjust. Don't feel defeated if the first plan doesn't work. Ex: my 10pm - midnight office hours. Trying to write with kids. You may not always have a choice in how you work, but try to find out what's ideal for you. This means everything from the specifics of when to work, where you work, and how. I like working better in the mornings, but I used to only have the option for nighttime. I also really hate having a firm deadline and need to finish way ahead of time if I have something like a preorder or I freak out. This matters a lot, especially when you don't have a lot of time. If you aren't working the way you work best, you'll e slower. It's very easy to compare yourselves to other people and try to measure yourself against that. It's not going to help you write more or better or faster. There's a difference between watching others and learning from them and watching others and trying to shove yourself into their mold. I'm a fast writer. That's just me. You can't look at me putting out a book a month and think you can do it because I am. Maybe you can; maybe you can't. Either way? That's okay! You can always challenge yourself and work to get better at your craft or increase your speed, but that may not be the best for you. I didn't know I could write a book a month until I did it. Now it's easier because I know I can. Listening to what has worked for other people might help you find what works for you. In a Facebook group for moms, one mom mentioned joining two gyms. She couldn't afford a full-time (or part-time) daycare, but was working for home. So she joined two gyms and used one in the morning for two hours and one in the afternoon for two hours. When I heard this, I thought it was genius. Then immediately felt a rush of mom guilt, until I did the math on that and realized that those were just four hours out of the day when I still had like nine others I was with my kids. This was (and is) a huge help to me. I don't always use both, but I regularly work at the YMCA, which is $75 a month for me and all five kids. Collect tips and then see what ones can work for you. That's how I work... have any tips or ideas to add?